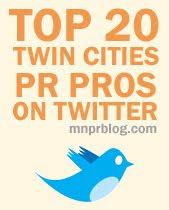 Join Minnesota PRSA for our next Meet & Mingle event on Thursday, Oct. 20. Co-hosted by Maccabee Group and Twin Cities Media Alliance, this networking opportunity will bring together a diverse group of public relations, communications and media professionals. Appetizers and drinks are included.